I have already posted the RBGE Sparrowhawk Diary for 2014 on Botanic Stories and this is to be a continuation. So, to give an update since then, over the winter there were a number of times I saw sparrowhawks in the garden, particularly as they seemed to been having a lot of run-ins with the resident crows. There was one particularly notable sighting around the end of December where I saw a pair of Sparrowhawks, a male and female who were quite clearly distinguishable by their size, flying with aerial acrobatics over the Chinese Hillside. They continued to be active through the winter months especially on the west side of the garden and then towards the beginning of May it became apparent that nesting was a possibility. Unfortunately some broken egg shells were also found around this time which were freshly laid as they were still a bluish colour and not the white which they go after time. This is the way of nature though, it can be tough sometimes. However since then there have been indications that another attempt has been made at nesting so I will keep you posted. Sparrowhawks are one of the species listed on the Edinburgh Council Notable Rare Species list and actions with regard to sparrowhawks appear in the current Local Biodiversity Action Plan under the Lowland and Urban section. There is a specific action point (LU20) which defines actions to be taken jointly between the Lothian & Borders Raptor Study Group and the RBGE. Another intitiative which has begun recently is the Edinburgh Living Landscape project and this also involves a collaboration between the RBGE and many other partners to enhance the urban biodiversity in the city. Sparrowhawks are, and I hope will continue to be, a part of the complex web of relationships that make up the landscape we live in. 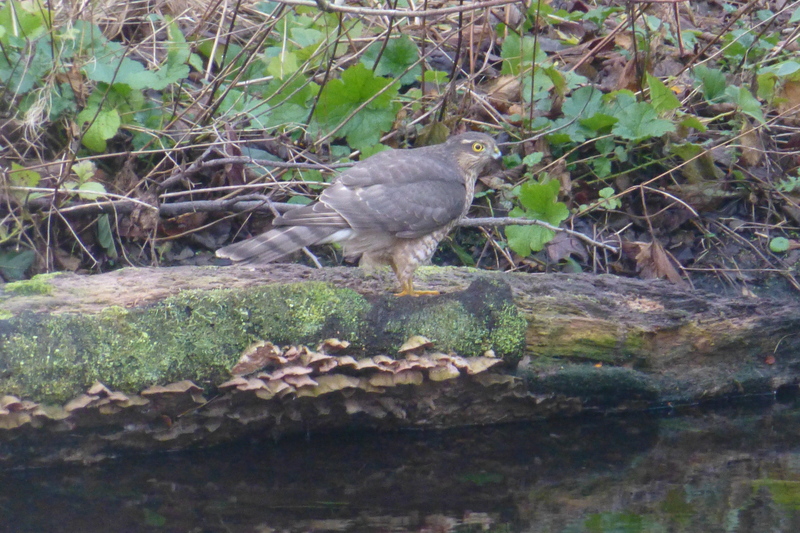 The fifth post of the Botanics Sparrowhawks blog – What’s that noise? The sixth post of the Botanics Sparrowhawks blog – Yardstick of Success. The seventh post of the Botanics Sparrowhawks blog – Latest Observations.